I’ve been spending far too much time doing 140 character mini blogs or actually enjoying MOOCs (massive open online courses). My favorite MOOCS may be found at EdX.org and Coursera.org. If you are not currently involved in a formal course of study, there probably is no better way to spend time learning than these. But it is time for at least a short blog. So, off we go to theory. We see many theories proposed and many adopted with little study. We may see a study of 13 people or 20 people that some purport to change all thinking on a long standing medical problem. This is not the proper way to approach a poorly designed and implemented study or even a well designed but entirely all to preliminary study. We would not change the treatment of heart disease, any type of cancer, or try to prevent Alzheimer’s disease on evidence as weak as this, but somehow it is deemed worthy of a sea change for running injuries. A shower and a change into clean clothes is likely a better use of your time. But allowing models and theories to last for far too long can be an equally troubling problem. But this is why models and theories must be thoroughly examined. There is no need to adopt an untested theory. And there is no value in making a theory about how to treat a clinical entity and proposing that is how all such entities should be treated without testing clinical results. Now on to yesterday, in the hope of having a better tomorrow, today! Examine your theories and models often. 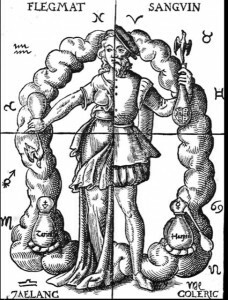 The model of “humors” as the cause of diseases persisted for over 2,000 years. The Greeks refined this concept in about 400 BC and it persisted for far too long. Aristotle’s scientific publications also lasted for far too long as unquestioned dogma. And there is even recent praise in both film and print for the wonders of his study of biology. While Aristotle may have been the first to take a systematic approach to science, it is even more important to know your failings and where your knowledge is lacking. A recent book and a documentary by evolutionary biologist Armand Leroi called “Aristotle’s Lagoon” have interesting points to bring forward about Aristotle and his study of Biology. But I’m in the camp of believing that he may have done more harm than good by not successfully encouraging others to better study and verify or disprove his theories. He certainly was a busy thinking man for his time. But unexamined, he dominated western thinking for far too long. Old knowledge isn’t necessarily knowledge at all. It is more likely a historical artifact or relic. Most medical studies from 100 years ago would not past muster today. So using them to justify someone’s completely unscientific theories is absurd. And I, like many, will even have questions about studies performed last week.